Congressman John Carney is at it again. With things falling apart in Washington Mr. Carney took to the News Journal to write an Op-Ed that blames everyone else for the Washington mess he created. Carney says the “Little Guy” who grinds along each day trying to make ends meet and pay his bills along with Mr. Carney’s salary is the real culprit. How sad. When the “little guy” speaks up and says “enough is enough” he is held in contempt and smeared as a “Tea Bagger”. A vile and contemptuous term used to besmirch those who believe in the sound principles that made this country the greatest place on earth. Mr. Carney’s vote to exempt Congress from the mandates of ObamaCare is an example of Carney’s contempt for the “Little Guy”. Mr. Carney voted “NO” on a rule that would eliminate his exemption from ObamaCare and make it apply to him the same as it applies to the rest of us. Mr. Carney is keeping his Cadillac health plan and he demands that the “Little Guy” pay for it. Mr. Carney needs to tell us why that is fair. Mr. Carney refused to allow veterans’ access to the WW II Memorial in Washington . Mr. Carney voted to keep the Washington World War II Memorial closed to Veterans who came to honor their fallen comrades who fought to keep us free. My heart ached when I saw wounded and disabled World War II veterans turned away from the gates of the World War II memorial. Why didn’t Congressman Carney welcome them to Washington ? On orders from Nancy Pelosi and Harry Reid, Mr. Carney refused to vote for the funding of the National Institute of Health. As a result a little girl with cancer was denied access to clinical trials seeking a cure. Harry Reid made a statement asking why we would want to help one kid with cancer. Mr. Reid is a bitter old man. Nancy Pelosi said it was a “gimmick.” It is heartbreaking that Mr. Carney sacrificed this little girl at the altar of Nancy Pelosi and Harry Reid. Why does Mr. Carney allow Nancy Pelosi’s and Harry Reid’s orders to trump the “Little Guy” every time? The “Little Guy” is not a fool. The “Little Guy” sees through Mr. Carney’s blame game. Instead of looking to blame others for his economic mess Mr. Carney should do the honorable thing – accept responsibility and then fix it. Maybe if Mr. Carney had to live under the same rules that he mandates for the “Little Guy”, things would change quickly for the better. The “Little Guy” doesn’t like it when his elected officials tell him it’s “my way or the highway.” The roll out disaster proves ObamaCare is a flawed plan. ObamaCare is not supported by “We The People.” Mr. Carney should push ObamaCare back to the drawing board and not force it “as is” on the “Little Guy”. Sadly, Mr. Carney overrides what his constituents want. This has been his trade mark since he first went to Washington . Mr. Carney will do what Nancy Pelosi and Harry Reid tell him, rather than listen to the “Little Guy”. Mr. Carney, get outside the Washington elite belt way! 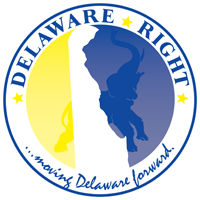 Unlike many of your fellow Delawareans, you have a job, now do it. Stop wasting time writing self serving Op-Ed articles that try to cover up your failure to cut spending, reduce taxes and improve the economy. Come next year, the Delaware “Little Guy” is going to be looking for a new face to send to Washington . It will be someone who is a “Little Guy” and who won’t forget it. 3 Comments on "Guest Post From Rose Izzo"
Sorry, but this is another fringe candidate without a chance of winning statewide. I would be willing to wager that if the GOP ran the water skiing squirrel for Congress against Carney, the squirrel would get more than twice the votes statewide that Izzo could get.